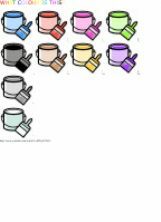 Students can use this kind of exercise to consolidate the colours study. They will have words to find in al directions. 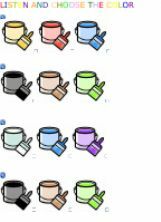 Multiple choice exercise to practise color names. Link to a nice rainbow song. 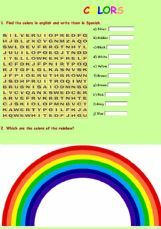 Choose the color name and listen to the rainbow song. Listen to the colour and choose the correct one. 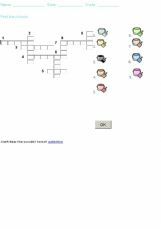 It�s a very basic vocabulary activity with numbers, days of the week, colours, basic culture. I hope you find it useful! 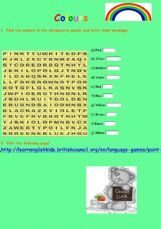 Find the colors in the wordsearch puzzle, write them in spanish and write the colors of the rainbow. 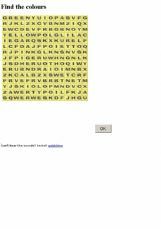 Find colours in the wordsearch puzzle!